The Boston Consulting Group and Civic Consulting Alliance have collaborated on over 25 projects, representing more than $13 million in pro bono value to public sector clients. 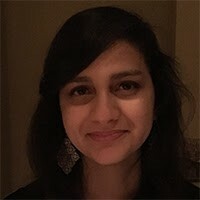 In 2017, a Consultant from BCG spent six months as part of Civic Consulting's team as an extern, taking advantage of a unique opportunity to build public-sector consulting expertise while making a tangible difference in the city. I loved working with my insightful, dedicated colleagues at CCA and experiencing what a team with a diverse range of professional backgrounds can accomplish. CCA’s marriage of private and public sector experience enabled us to tackle public sector challenges with many moving pieces in a unique and effective way. “I loved working with my insightful, dedicated colleagues at CCA and experiencing what a team with a diverse range of professional backgrounds can accomplish. CCA’s marriage of private and public sector experience enabled us to tackle public sector challenges with many moving pieces in a unique and effective way." Read more about Nikita's experience in our newsletter.